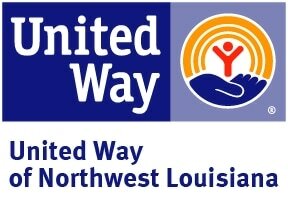 If you are a current partner of the Food Bank of Northwest Louisiana, we value you and the work you provide. Please take a few moments to complete a survey to let us know how we are doing and how we can improve. The survey is on-line and complete anonymous. Click here to begin. Thanks to the over 150 of our Community Partners that share in the mission of our Food Bank. We want to help provide you with the tools you need to perform you daily operations, below you will find these tools. We are always seeking more community partners to help in our fight against hunger in our area. Our biggest need is in the rural areas of Northwest Louisiana. If you are interested in becoming one of our agencies please review the documents below and contact our Agency Relations and Programs Director, Marleah Walker, at 318-675-2400 ext.108 or email her at agencyrelations@foodbanknla.org. Please remember to fill out and email your *Monthly Report Form by the 5th of each month to agencyrelations@foodbanknla.org or your agency will be placed on hold. Instructions: Download the Monthly Report PDF by clicking the link. Save your completed monthly report to your computer.